Based in Gants Hill, our playgroup provides high quality childcare for children aged 2 to 5. We provide a friendly and stimulating environment that will encourage your child's development. We have fully qualified and experienced staff. Our playgroup is open all year round; however a Term Time only option is also available. 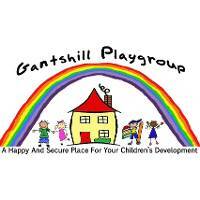 At Gants Hill Playgroup we will ensure that our service is fully inclusive in meeting the needs of all children. We are a setting which aims to provide an environment in which children, including those with special needs (SEN) are supported to reach their full potential in the best way possible. We aim to incorporate inclusive equipment into daily routines. We work in partnership with parents by ensuring that they have the relevant information regarding their child and we arrange regular meetings and exchange ideas to ensure that the parents are fully incorporated into their children’s learning at the setting. We work in liaison with other agencies which can range from child educational psychologists (EP), Speech And Language Therapists (SALT), the SEN Early Years Panel (SEYP), etc. to fully understand the needs of the child and how we can take a holistic approach to their care. We designate a member of staff to be the special education needs co-ordinator (SENCo) and give their names to parents. We also ensure details are displayed on the parents board for those who have any queries. The manager is always available for parents to reach regarding any concerns that they may have. When giving parents/carers advice on SEND requirements we aim to give a wide range of information on the possible ways in which they can be involved to ensure they do not feel isolated. If necessary, we will give information on other agencies which we are in partnership with so that they can direct questions to them if needed. We also provide a complaints procedure. We monitor and review our policy annually. This involved using progress trackers to see how the child is developing over time in accordance to their age with information given from the EYFS. We follow the Early Years Foundation Stage (EYFS) curriculum and monitor progress according to its requirements. Our dedicated SEND staff attend forums to update their information regarding new policies and developments. We have arranged for staff members to attend training in the upcoming months to expand their knowledge of the care required. We have full wheelchair access to all areas of the setting and we have fully accessible toilets for personal use. We set up next steps for children and we ensure that these are shared with parents to allow for full support of their child. We have a system in place which allows us to complete transition forms for those children who are going to change settings or start a new school. This provides details on the ability of the child and how they have developed whilst attending the setting. It provides insight into their current status and what they may need to focus on for further development of specific skills. We ensure that parents receive updates regarding upcoming workshops available to them through a monthly newsletter which we publish or by hanging notices up on the parents board.